The 10th International Conference Ombud Institutions for the Armed Forces conference is underway at the Emperor’s Palace in Gauteng. Hosted by the SA Office of the Military Ombud and the Geneva Centre for the Democratic Control of Armed Forces (DCAF), the conference ends with Africa Day celebrations in a form of a dialogue. Speakers including Dr Somadoda Fikeni; Dr Philani Mthembu; Professor Shadrack Gutto; Dr Benjamin Kunbour, visiting scholar at the University of Ghana Law School; Patricia Myriam Isimat-Mirin, Special Advisor to the Ivory Coast Ombud and Dr Hans Born, Director of Policy and Research Division DCAF among others deliberated on advancing the narrative of oversight over African armed forces. In her keynote address at the opening of the conference, Minister of Defence Nosiviwe Mapisa-Nqakula said the 10th International Conference of Ombud Institutions needed to reflect on the extent of the continent’s involvement in these structures and how being members or participating in the activities of these will enhance the countries’ own oversight mechanisms with evolving roles and responsibilities. Marked under the theme “The evolving roles and responsibilities of the armed forces and the implications for ombud institutions”, the conference attracted delegates from around the world. It is held annually in different DCAF member states. 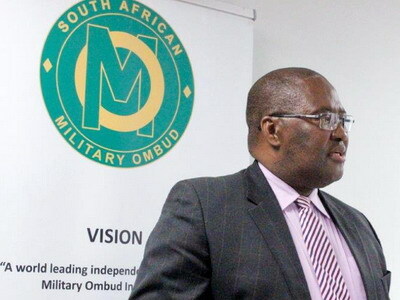 South African Military Ombud retired lieutenant general Temba Matanzima said the role of armed forces was evolving from warfighting to domestic security, crisis response, border security management and peacekeeping. He these roles present new challenges in the human rights arena and will give rise to new problems and complaints. “This compels one to ask if the ombudsman is prepared to deal with new complaints and whether mandates allow. Are the new legal paradigms of the ombudsman adaptable to provide recommendations and rectify such problems,” he asked.